This week, leading up to tonight’s NFL Draft, veteran NFL scout Greg Gabriel will break down the top four quarterbacks in the first round. 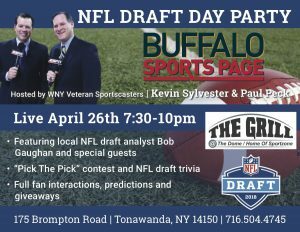 The Buffalo Bills are likely in the market for a signal caller, and may wind up with one of these top prospects. Strong Points –Three year starter when healthy. Has very good mechanics and release. The ball comes out of his hand nicely and he throws a consistent tight ball. Can make all the required NFL throws with accuracy and good ball placement. Reads the field well and can go through a progression as well as any QB in this class. Good but not great arm strength. Weak Points –Has never been the big winner he was supposed to be when he was recruited. Has an entitlement type personality, is very smart and will be the first one to let you know that he is. Can be difficult to coach. Not the leader you want the QB to be. Outspoken and not as well liked and respected as a top QB should be. Has games where he looks very average. His tight ball, quick release and mechanics make his arm look stronger than it really is. Has had a number on injuries and missed games. Lacks a strong build, needs to add bulk and strength. Summation –A third year junior and three year starter at UCLA. There is no question that this player has the natural talent to become a very good NFL quarterback but I doubt he ever will. Was a 5-star recruit coming out of high school and the talk was he would be the best quarterback ever. Has never lived up to expectations. Has very good mechanics and throws a nice ball, has a good but not great arm. Flashes exceptional accuracy but can have games where he is way off. In the NFL, the intangibles separate the good quarterbacks from the average ones. 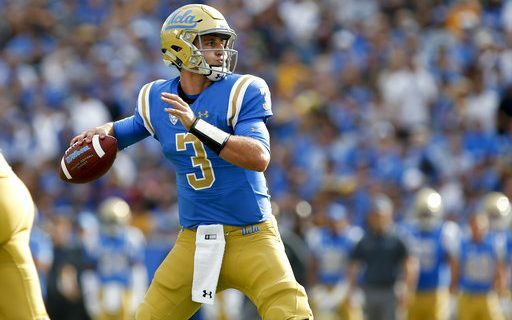 Rosen lacks the intangibles to be a consistent winner at the next level. Needs to really mature and except coaching if he wants to succeed. Will go very high because of what he can be, not what he is. It will be very interesting to see how it turns out. A hit or miss type prospect.